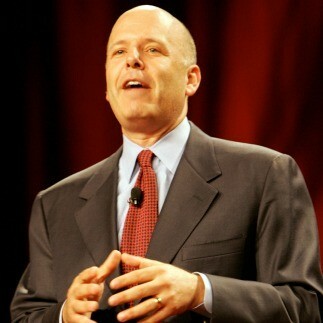 Shep Hyken is a customer service and experience expert and the Chief Amazement Officer of Shepard Presentations. He is a New York Times and Wall Street Journal bestselling author and has been inducted into the National Speakers Association Hall of Fame for lifetime achievement in the speaking profession. Shep works with companies and organizations who want to build loyal relationships with their customers and employees. His articles have been read in hundreds of publications, and he is the author of Moments of Magic®, The Loyal Customer, The Cult of the Customer, The Amazement Revolution and Amaze Every Customer Every Time. In 1983 Shep founded Shepard Presentations and since then has worked with hundreds of clients ranging from Fortune 100 size organizations to companies with less than 50 employees. Some of his clients include American Airlines, AAA, Anheuser-Busch, AT&T, AETNA, Abbott Laboratories, American Express – and that’s just a few of the A’s! Shep Hyken’s most requested programs focus on customer service, customer loyalty, internal service, customer relations and the customer experience. He is known for his high-energy presentations, which combine important information with entertainment (humor and magic) to create exciting programs for his audiences. These topics and themes are the basis for Shep’s customer service presentations. They focus on how important service is in today’s world. Make your organization a star in your customers’ eyes. Some of the topics in these presentations include Jan Carlzon’s Moments of Truth, Moments of Magic, parallels between selling and service, meeting and exceeding expectations, handling confrontations, building relationships and more. Shep supports all of the concepts with specific “how to’s” that the audience members will want to immediately put into action. To get and to keep your customers you must deliver an amazing experience. In this fast-paced and content-rich presentation Shep will share some of the 52 “Amazement Tools” featured in the book of the same name. The audience will learn best practices, tactics, and strategies to help them deliver the most amazing customer service on the planet. This is must-have information that will help transform your organization into a seriously customer-focused operation … with a serious competitive edge! Shep’s New York Times and Wall Street Journal bestselling book has turned into one of his most requested speeches. The Amazement Revolution is the culture that can drive any organization – from one employee to tens of thousands – to focus completely on delivering an amazing customer experience. Shep’s simplistic concept of Customer Amazement is about being better than average, all of the time. The speech builds on some of Shep’s time tested concepts and adds new strategies and techniques. This presentation is based on Shep’s Wall Street Journal bestselling book of the same name. This speech will take your audience through the five “cults,” or phases, that all companies must go through to create an experience that turns your satisfied customers into customer evangelists. Beyond the concept, Shep shares specific strategies that the audience will be able to implement immediately. This motivational speech combines humor, magic, information and motivation to create an exciting and enlightening presentation for all types of audiences. It is a fun program that can incorporate parts of Shep’s service programs or can include topics such as personal excellence, goal setting, turning negatives into positives, teamwork and more. This is an outstanding program for banquets and special events. Perhaps your organization has held focus groups where customers are brought into a comfortable environment and asked questions. Imagine taking the focus group live, in front of your organization’s executives, sales people, etc. Shep Hyken will host and facilitate a focus group in front of your audience. Shep will learn specific information about your business and industry, learn about your customers, and develop questions to ask them. But most importantly, Shep will open the session up for questions from the audience. Your people will be able to ask these customers virtually any questions they have ever wanted to ask – no holds barred! The Customer Focus is a customer service training program for companies who want to create a stronger service culture that builds loyal relationships with their customers and a better environment for their employees. Welcome to The Customer Focus, another Shepard Presentation. TCF was created to help develop a mindset dedicated to delivering outstanding service to both external and internal customers. TCF is a process that requires the commitment and dedication of every employee in a company (or division of a company). Concepts, strategies and exercises are facilitated by professional trainers who have been approved by Shep Hyken to present the TCF workshops. A by-product of this customer service training program is that it helps build employee loyalty and a better working environment. The fundamental purpose of a business is to satisfy customer/client needs at a profit. Your company can only benefit from a strong customer service culture. Satisfied customers are converted to loyal customers. More sales come from existing customers. You customers become your advocates, creating excellent word of mouth advertising. And, much more. The bottom line is increased revenue.